There are many beauty products on the market but not many of them cater to multi-ethnic women. During a recent launch event we learned all about DOOBOP, the first beauty e-tailer uniquely curated and edited for multi-ethnic women, specifically with brown skin tones and textured hair. DOOBOP is approaching beauty in a groundbreaking way, specifically targeting women of diverse cultures and ethnicities who feel alienated by the majority of beauty brands and retail destinations. Ultimately, DOOBOP aims to disrupt the beauty landscape as we know it. The face of America is rapidly changing  African Americans are growing 30% faster than the U.S. population, Latinos now represent 16% of Americans, and biracial individuals have increased by 32% in the past decade. Despite these statistics, the current beauty industry continues to overlook this growing population and their solid investment in beauty. 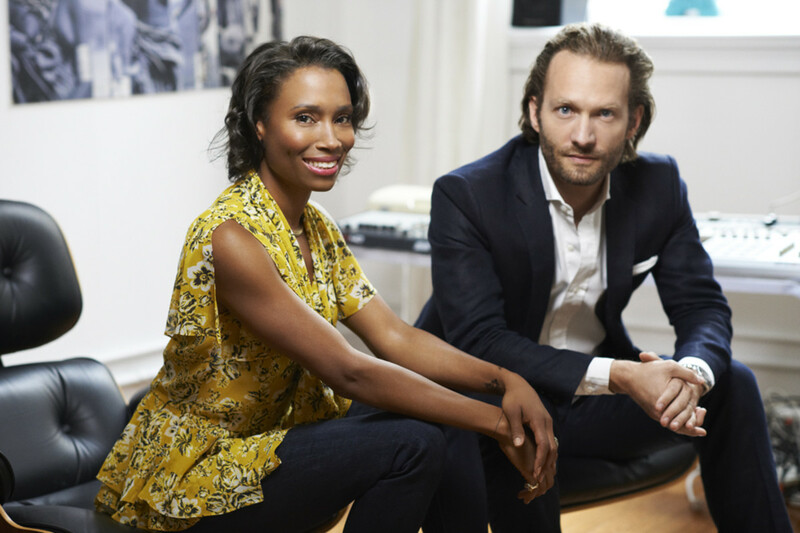 Co-founded by industry veterans: Chief Creative Officer, Jodie Patterson, owner of the boutique beauty line Georgia By Jodie Patterson, and CEO, Benjamin Bernet, who spent the past decade at LOreal as a senior marketing executive for brands such as Kiehls and Giorgio Armani Beauty. How it is different is that DOOBOP they will offer a highly personalized, interactive, and accessible space for women of brown skin tones and textured hair to embrace beauty. The site features carefully edited and hand-picked prestige product selections from all over the world, personalized online beauty consultations, expert content, and superior service. They will also offer cool incentives like free shipping for every order, free returns, and a sleek, clean website design and free samples will be included in every order to introduce new products to customers, and orders will come packaged in trendy re-usable organic cotton pouches. In-depth online consultations will suggest tailored product recommendations and regimens based on skin type and hair texture  encouraging both exploration and accuracy  two elements of beauty that many multi-ethnic women are excited to experience. Patterson and her team consider brands that are not specifically marketed to an ethnic consumer, but perform well on brown skin tones and textured hair. DOOBOP will launch with the following brands: Absolution, Ahava, Caudalie, Comfort Zone, Erbe, Ethnicia Paris, Fashion Fair, Free your Mane, Georgia by Jodie Patterson, Hapsatou Sy, HIPP x RGB, IMAN Cosmetics, Jaboneria Marianella, LAMIK, Leonor Greyl, NC LA, Nuhanciam, Phyto Specific, Prtty Peaushun, Rahua, RMS Beauty, SachaJuan. DOOBOP introduces Team Beauty, their on-site panel of celebrity hair, makeup, skin and health experts. Keith Campbell, Cynde Watson, Angie Parker, Sherwin Parikh, Elizabeth Owusu,andJeanette Broneewill bring their professional expertise through how-to videos and Q&As to provide simple yet innovative solutions to tackle beauty dilemmas. In addition to the experts, DOOBOP has also signed on a team of real-life influencers to help navigate the dense beauty market and recommend tried-and-true products. These influencers - a team of over 50 moms, executives, artists, etc.  are multi-ethnic Americans currently residing in NYC. They represent real women&apos; and each offers a strong point of view. DOOBOP will also give back $1 for each order made on the site to fund Community of Unity (CofU), a New York-based charity that identifies high-need New York City public schools that lack essential student support programming and fills those gaps as needed.